Burma is an incredible destination full of picturesque temples, wonderful people and gorgeous scenery. In many ways the Galapagos Islands defy belief not only in the unique and raw beauty of the landscape but in the array of creatures which have morphed and adapted to suit their surrounds. Each day spent exploring both land and sea brought simply incredible experiences with nature and wildlife. 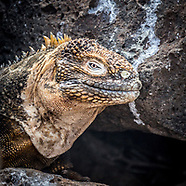 I hope that this gallery of images gives a glimpse into the wonders that make the Galapagos such a special destination. .
A country full of contrasts with stunning scenery, bustling markets and an age old culture. Morocco is an incredible place to visit. The magic of stormy skies! A collection of images from the USA. The beauty of black and white allows us to view all the simplicity and complexity of the world around us. A collection of images bought to you by Jillian Mitchell. Images in the gallery are available for sale - please contact me directly for purchase as only low res scans will automatically download from this site. 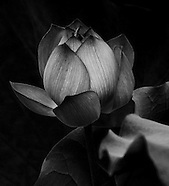 A selection of beautiful images in black & white. We live in a world of beautiful, vibrant colour. This collection of images is presented to you by Jillian Mitchell. Images in the gallery are available for sale - please contact me directly for purchase as only low res scans will automatically download from this site.